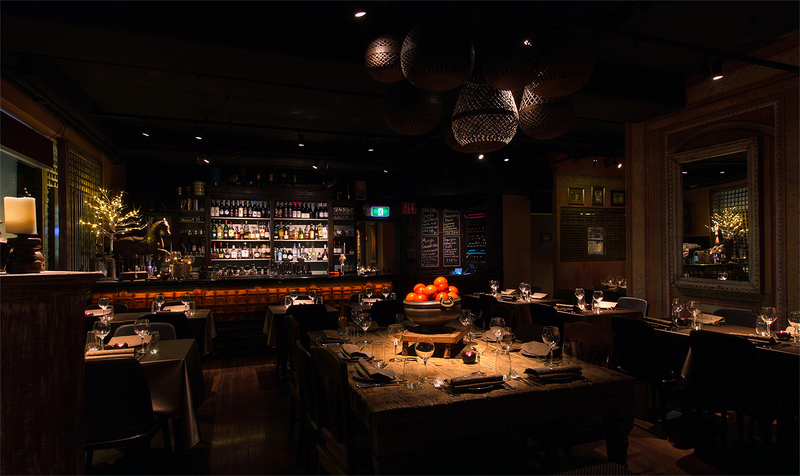 Soraa, the world leader in GaN on GaNTM LED technology, announced that its LED lamps have been installed at the iconic Spice Room restaurant in Sydney, Australia. Located in the Circular Quay area of Sydney, the Spice Room restaurant’s design is inspired by a rail trackside Indian street scene. After a thorough comparison of lighting options, the Spice Room interior designer, Jill Hoffenberg, and lighting designers at PointOfView chose Soraa’s GU10 VIVID LEDs to create the warm and inviting atmosphere. The high colour-rendering index (CRI) and focused lighting draws attention to the interior surfaces, revealing the dynamic texture and colouring. Flexibility in the lit environment was another key element taken into consideration while lighting the space. Warm individual pools of light furnish dining tables, providing functional light with beautiful colour rendering. Like all of Soraa’s LED products, the GU10 lamps feature the company’s Violet-Emission 3-Phosphor (VP₃) LED technology, allowing for perfect rendering of colours and whiteness. The carefully aimed narrow beams ensure spill light does not impose on the intimacy of the space. Utilising every colour in the rainbow, especially deep red emission, Soraa’s VP₃ VIVID COLOR™ renders warm tones beautifully and accurately, and achieves a CRI of 95 and deep red (R9) rendering of 95. The company’s VP₃ NATURAL WHITE™ is achieved by engineering the violet emission to properly excite fluorescing brightening agents including natural objects like human eyes and teeth; as well as manufactured white materials such as clothing, paper and cosmetics.